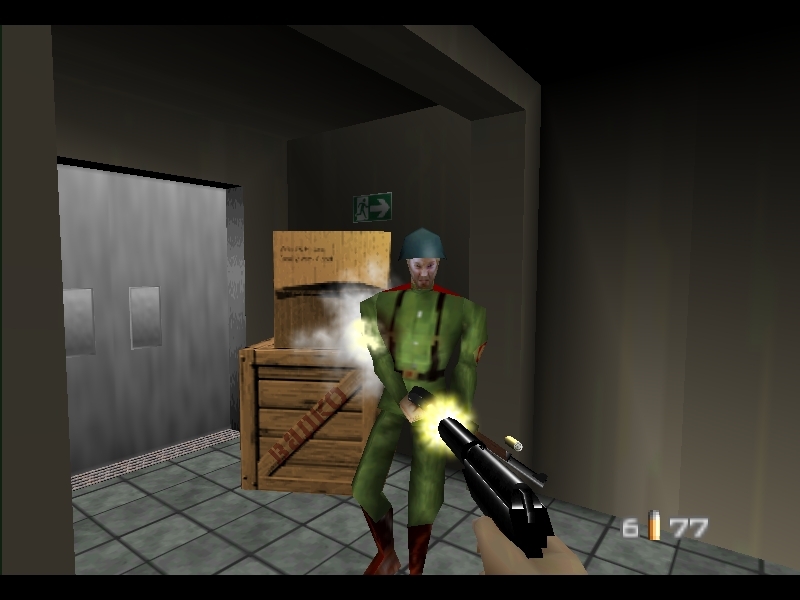 See the game that started true First Person Shooter Gameplay. Without it the likes of modern-shooters such as Medal of Honor & Call of Duty wouldn't exist in the same vein. Bond, James Bond - all you need to know. This game provided challenge, suspense, intrigue, intelligent reaction and stealthy gameplay. 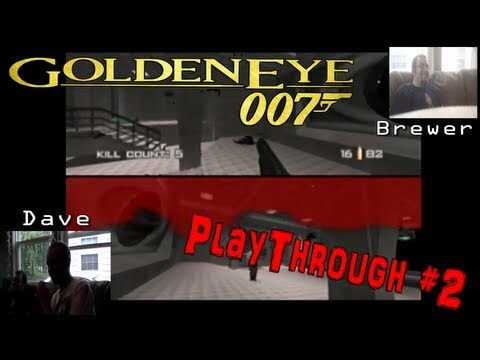 Based on the movie of the same name, Goldeneye is the best of the best when it comes to multiplayer splitscreen action, intense singleplayer campaign missions and interchangable difficulty settings. 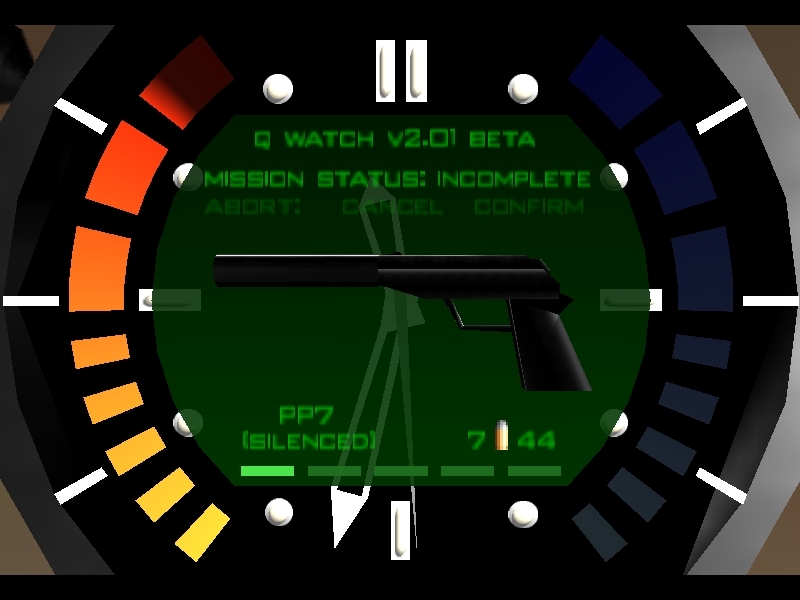 With every little nod to the 007 franchise in place, this game has legendary status in both gamers eyes and fans of the series. 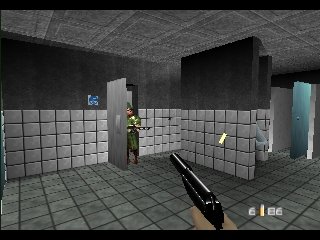 The game showed the reason splitscreen became a gaming must-have on the production checklist, as well as developing vast features, for customizable choice and extended entertainment. If this game had fit anything else into it, gamers jaws may have been dropped forever in excitement. So what are you waiting for, be shaken and stirred into a mindset that tells you to play this game! This is a fine game and maybe the one that started the 007 series of first person shooters.It was made a legend for it's multiplayer, but when you think about of the inability to aim properly it seems kind jerky. 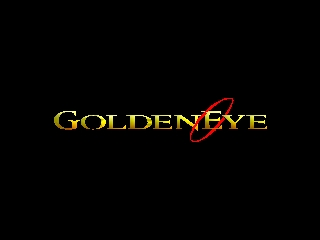 GoldenEye, the best console based FPS to this very day. This game started the whole FPS craze (although, it beats the pants off of modern day shooters) and gave companies something to match. 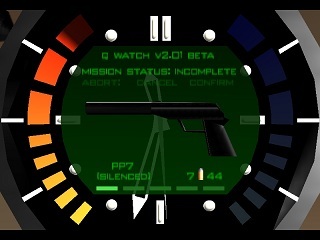 You play the agent 007 (James Bond) and shoot your way through several levels while completing various objectives. I'd go more into depth with the story, but I didn't pay attention to it as I was too busy having fun. I couldn't get this game working on Project 64 for whatever reason (the lag was incredible), but I did get it to run quite well on 1964. 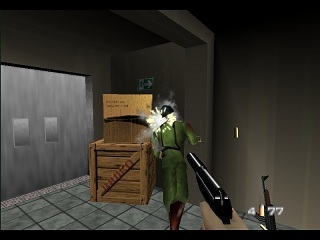 007 Goldeneye is one of the best 1st person shooter games for the Nintendo 64. In this game, you play the role of James Bond, a spy for England. 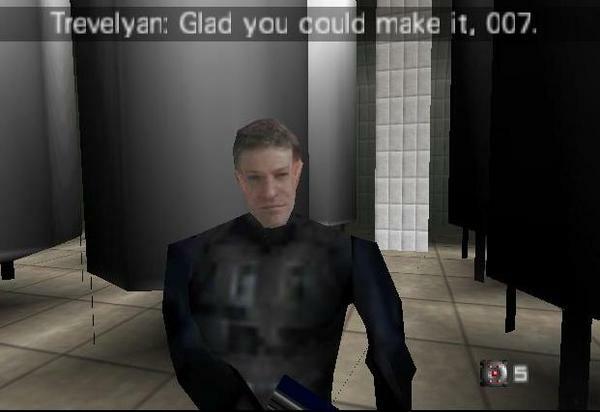 (Skip this section if you watched Goldeneye) This game is based off of the 007 movie 'Goldeneye'. 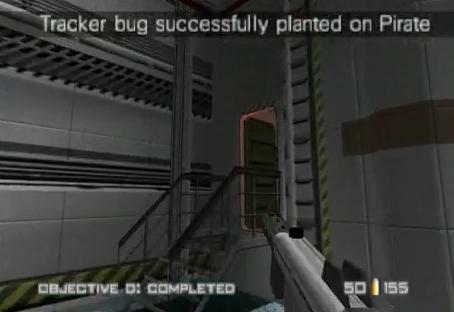 In Goldeneye, there is very impressive AI, well built maps, highly detailed guns, and, an excellent storyline. NOTE: This game works excellent in Project 64! 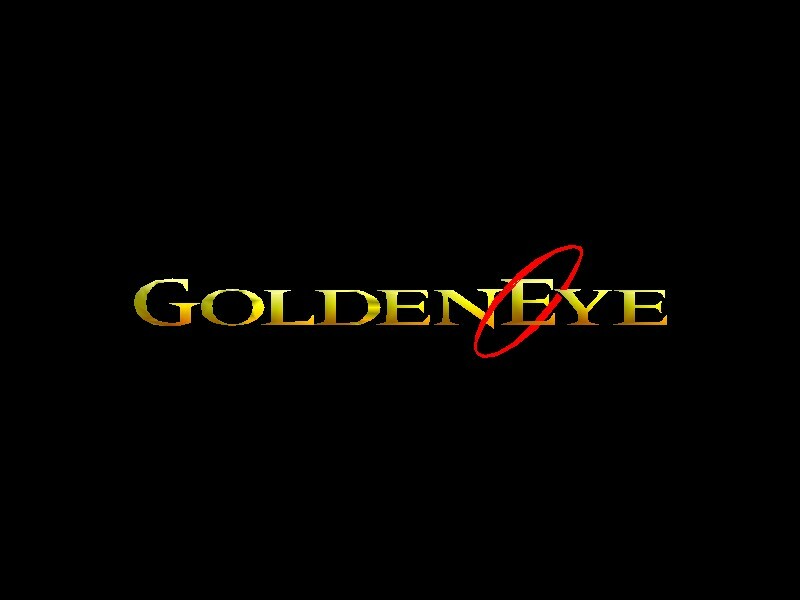 007-Goldeneye is at least the 3rd best N64 game. I'd rate it 1st, but I'm sure there are other opinions out there. This game has really good gameplay for it's day, and still applicable today. It also has an amazing soundtrack and hours upon hours of charming fun. If you're on a rom hunt, you'd be a fool not to include this game.